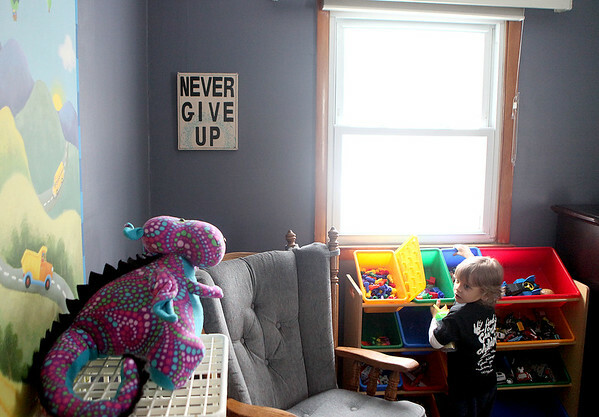 Aiden Becker plays in his bedroom at his Sugar Grove Township home. Aiden was diagnosed with high risk leukemia in March 2013. Now 3 and a half, he is in remission.